It turns out that young children being read to almost always focus on the illustrations. And when they're not enjoying the pictures, they are looking up at the adult reader. The child's eyes almost never look at the print on the page, yet that's where children can learn the most about letters, sounds, and words. To get the most out of a shared reading, encourage your child to appreciate the pictures, and also guide their attention to printed words. Doing so may help your child's reading, spelling, and comprehension skills down the road. The meaning of the print. This includes pointing out specific words within a book and drawing the child's attention to the print. For example, "Here are the penguin's words. He says, thank you." The organization of the book and print, which includes understanding the way pages are read, the role of the author, and print direction. For example, "I am going to read this page first and then this page over here next." Or "This is the top of the page. This is where I begin reading." The letters, which includes helping your child know that letters come in uppercase and lowercase, and helping your child learn the names of each letter. For example, "This M in the red block is an uppercase letter. See how this uppercase letter is bigger than these lowercase letters?" The words, which includes helping your child recognize some written words, and the match between spoken words and written words. For example, "Let's point to each word as I read it. Ready?" Come and read with your child along with other fun activities! 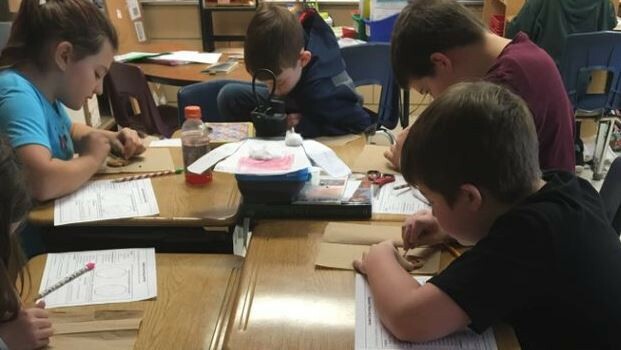 After months of study and input from the community, the Lapeer Community Schools (LCS) Board of Education approved placing a $94.9 million bond proposal on the November 5, 2019 ballot. If the bond proposal is approved by voters, the current tax rate would increase by an estimated 2.7 mills. For the average homeowner, the cost would be $12 per month. According to Superintendent Matt Wandrie, approval of the bond proposal would allow the school district to implement a district-wide restructuring plan to meet the educational needs of this generation and the next. 1. Maintenance of the year-round program in grades K-8. 2. 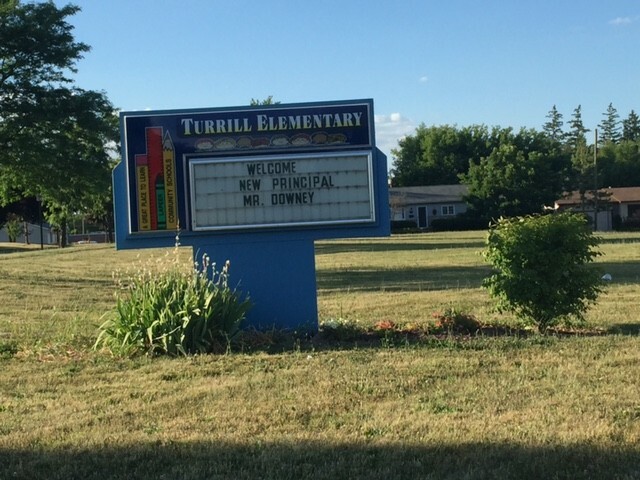 The development of an Early Childhood Center at Turrill Elementary School to serve all kindergarten students and the district’s Early Five program. 3. A reconfiguration of the East Campus, currently home to Lapeer High School, to serve all Lapeer students in grades 1-4. Lynch, Mayfield, and Murphy elementary schools would be closed and sold. 4. Use of Schickler Elementary School for the district’s alternative and virtual learning programs. 5. The reconfiguration of the Rolland-Warner Campus which would become an intermediate school, serving all Lapeer students in grades 5-6. 6. The Zemmer Campus would serve all Lapeer students is grades 7-8. 7. The Center for Innovation (formerly Lapeer West High School) would undergo a full-scale renovation and become Lapeer High School. This comprehensive high school would serve all students in grades 9-12 and include programming currently offered at the Center for Innovation. The District’s Athletic Complex would remain at the site. 8. Maple Grove and Cramton campuses would remain as currently configured. (A large portion of Maple Grove would continue to be leased to Community Mental Health and another portion of the building would continue to provide virtual school programming.) The Home School Partnership Program would remain at the Cramton facility. 9. The Administration building would remain as currently configured and house the administrative services staff that support the school district’s educational offerings. The new configuration would reduce operational costs by an estimated $1.0-1.5 million annually, while providing more educational opportunities and specialized programming for students. The last time residents voted on a bond proposal to upgrade district facilities was in 2007. That bond was primarily used to renovate the Rolland-Warner and Zemmer campuses, both of which are essential to the restructuring plan. All bond projects must be approved by the Michigan Department of Treasury. In addition, all renovations and upgrades will be in compliance with all state and federal laws including the Americans with Disabilities Act (ADA). To inform residents of the plan and the proposed projects, a series of meetings will be conducted throughout the community. 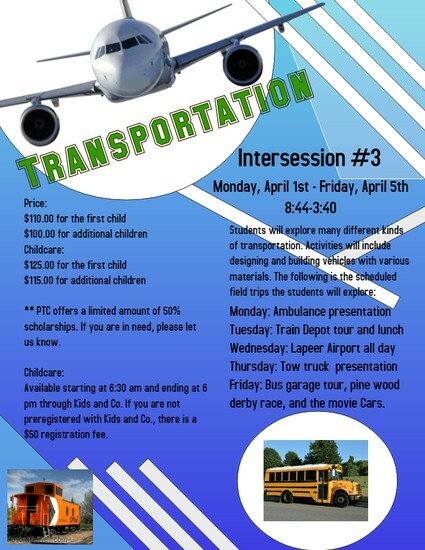 In addition, a complete list of planned projects as well as all bond information can be found online at LapeerSchools.org. Scientists, just like readers, make predictions all the time. Help your child begin to see the connection between what she does as a reader and what she can do as a scientist. 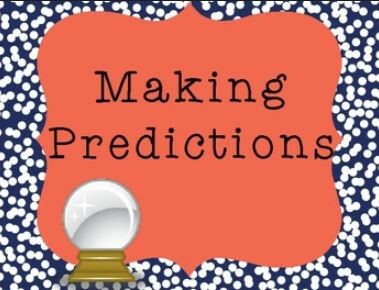 Here are two simple ways you can encourage your child to put her prediction skills to work as a scientist.